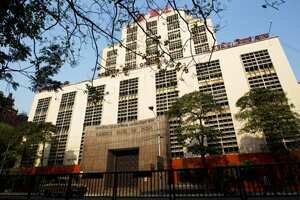 New Delhi: Ahead of its monetary policy review later this month, the Reserve Bank on Friday said interest rates will have to move in tandem with inflation, as the central bank has no other instrument to check the rate of price rise. “If inflation goes up, interest rates will go up anywhere in the world... I have no other (monetary policy) instrument available with me (to anchor inflationary expectations)," RBI deputy governor K C Chakrabarty said on the sidelines of an event organized by FICCI here. The RBI has already hiked rates 12 times since March, 2010, to tame demand and curb inflation. The apex bank is scheduled to hold its quarterly review of the credit policy on 25 October. Experts have said it is unlikely that the RBI will pause on its rate hike strategy on account of the slowdown in industrial output growth. Industrial production growth fell to 4.1% in August. Economic growth in the April-June quarter stood at an 18-month low of 7.7%. Asked if inflation has peaked, Chakrabarty said, “This is very difficult to say... I cannot say off-hand what is the path of inflation... whether it is coming down or not". On whether the high interest rate is affecting savings, he said the apprehension is that it might have been affected. He also pointed out that inflation is not high because of interest rates. It is high inflation that has led to an increase in interest rates, he added.